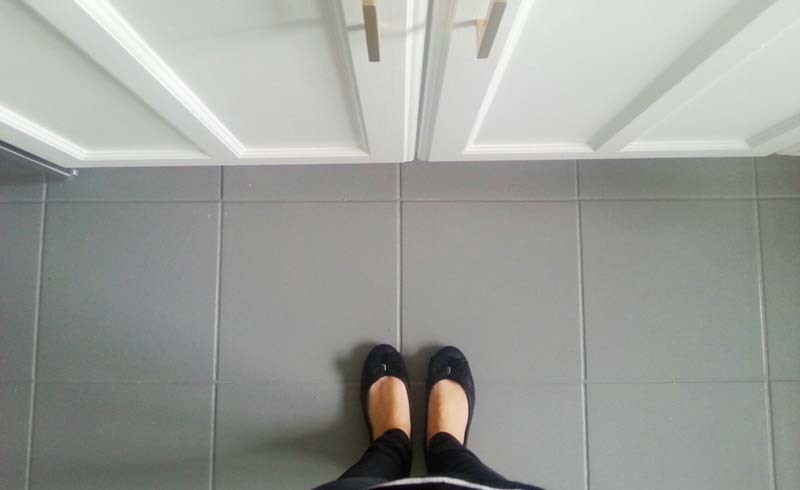 Thinking About Painting Tile Floors? Don’t. Painting tile floors sounds (and looks) like a common-sense fix to an ugly tile problem in a bathroom, kitchen, or entryway. After all, you can paint an ugly wall or an outdated door—why not paint some floor tiles? When replacing floor tiles is so costly, time-consuming, and messy, a coat of paint seems like the obvious, budget-friendly alternative, but this seemingly obvious DIY solution isn’t the fix-all you’d hope for. Searches for painted floor tiles were up 1,276 percent on Pinterest in 2018, so plenty of people are interested in the option, and a plethora of DIY guides to painting tile floors are floating around online. But where figuring out how to clean floor tile grout is easy and straightforward, with reliable results, painting tiles floors can quickly go wrong. Can you paint floor tiles? “Because tiled flooring is commonly found in high-traffic areas, such as the bathroom or kitchen, there is a risk the paint will peel or bubble up from being frequently scratched or exposed to moisture, regardless of the amount of paint layers applied,” says Hunter Macfarlane, project expert at Lowe’s. The process can be easy, and the immediate results might look great—but there’s a good chance they won’t last. Are there alternatives to painting tile floors? If that’s not an option, there are certain peel-and-stick tile decals that can improve the appearance of unfortunate floor tiles. Affordable rugs can also help cover them. If you’re really attached to the idea of painting tile floors, though, go about the project carefully. “To achieve the best results, I recommend working with professional painters that are specialized and equipped to properly paint ceramic tiled floors and walls, and leave the area unused for several days to allow the paint to dry once the project is completed,” Macfarlane says. Refinish tiles, even give wall or backsplash tile a pretty painted pattern, but don’t paint the entirety of your tile floors—no matter how good it looks online. 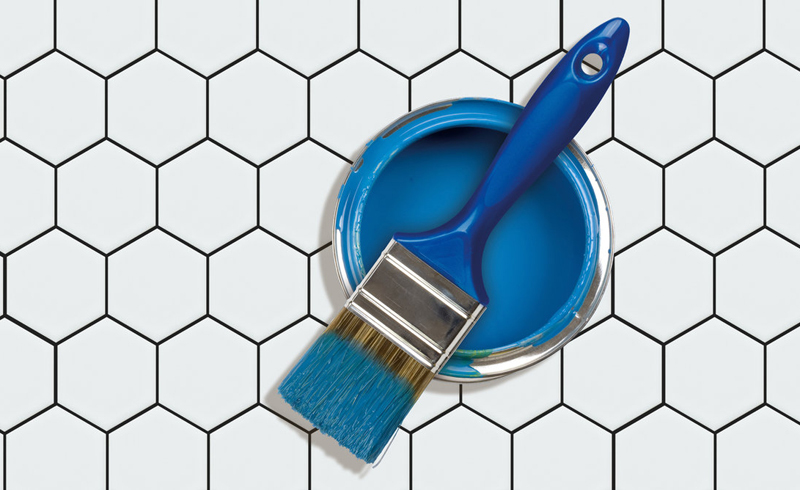 U.S. Daily News: Thinking About Painting Tile Floors? Don’t.